Grab your bicycle, slip on your flip flops (or drive if you must) and enjoy touring eight unique homes, both historic and modern, on the 2018 Historic Springfield Tour of Homes on May 19 & 20. A grand three-story Prairie-Craftsman home constructed circa 1897. This home – full of outstanding architectural character – was originally the parsonage for Bethel Baptist Church and has been moved four times in its storied history. 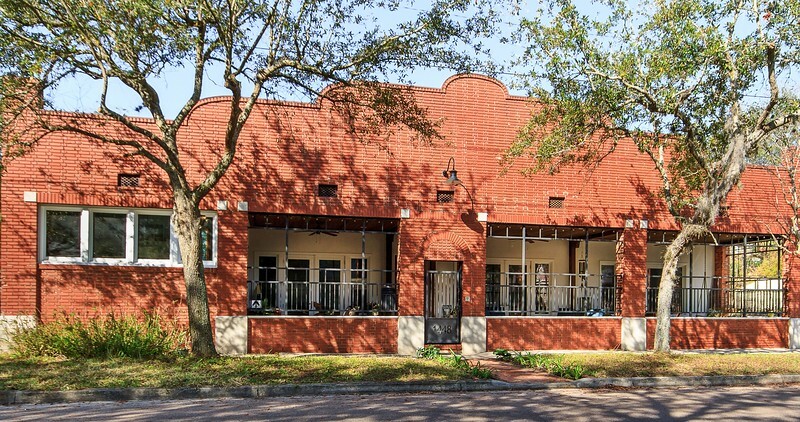 - A 1928 brick commercial building stunningly renovated into a residential single-family loft space, with eclectic mid-century modern and international décor. - A 2003 home built to reflect traditional Craftsman architecture on the exterior, but with a bold “Modern South American”-inspired interior design with an avalanche of color. - A 1905 frame vernacular home showcasing Victorian-era and vintage pop culture flare on the inside, with a striking purple color pallet on the outside. - A new-construction, ultra-energy-efficient “net zero” home, styled with a millennial’s touch. - An expansive 3,700-square-foot brick home built originally as a duplex in 1914 and since converted into a single-family residence with three fireplaces and double front porches. - A picturesque 1914 frame vernacular home with two-story double wraparound porch overlooking a pool and garden. - A home built in 1903 by an Orthodox Jewish family who began their own congregation inside the residence. Lovingly renovated, the home features a balcony outside the master bedroom with Downtown skyline views. Look for live music by Brenna Erickson and Melodist Brynn, cold treats by GuanaBana Ice Pops and original work by noted local artists Thony Aiuppy, David Nackashi, MacTruque and Drew Hunter along the way. Guests can walk, bike or drive the Tour. 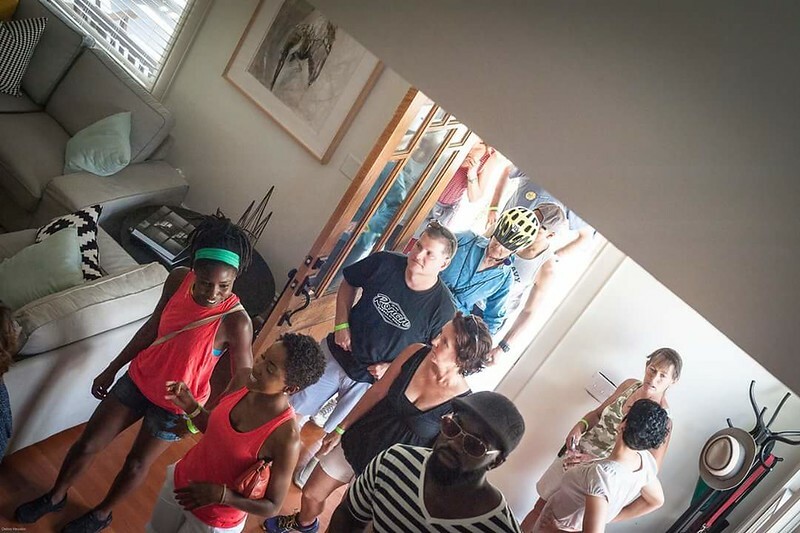 On Saturday at 1pm, e2ride Bike Tours will be hosting an extended guided bicycle tour of the neighborhood. 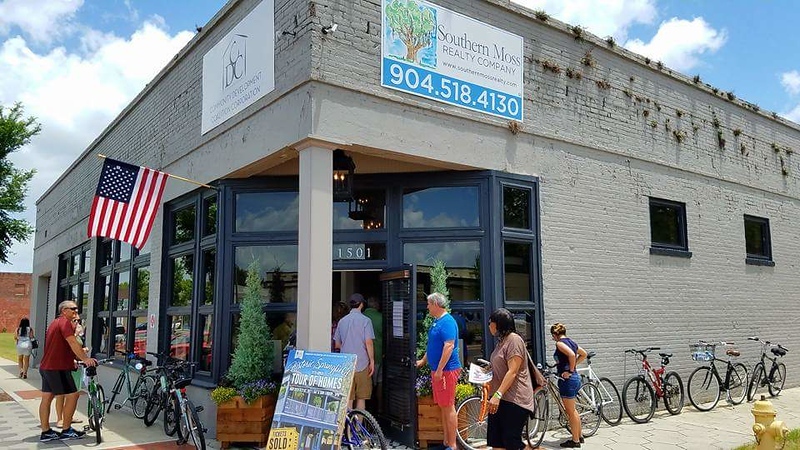 Along with the eight venues on the Tour of Homes, guests will leisurely ride throughout the Historic District, with stories, architecture and history shared along the way. Free with your Home Tour ticket and bike (you can also rent a bike there). Reserve your spot now by contacting e2ride. Stay in Springfield after Saturday’s tour to enjoy a variety of live music and within walking distance of the Tour, including Crispy’s Restaurant & Pub, Social Ground Coffee, Main & Six Brewing Company, Uptown Kitchen & Bar and Hyperion Brewing Company, who will be celebrating their one year anniversary with music and fesitvities. In it’s 40th year, the Tour is a way to show off the progress and opportunities in the Springfield Historic District. The event is hosted by Springfield Preservation & Revitalization (SPAR) Council, the e501ce grass roots organization working towards preserving the unique character of the neighborhood, while facilitating it’s revitalization. Find out more on our website. Originally a commercial building, the structure was built by Ben Abdullah. In 1928 it was the home of four stores and an apartment. Floyd’s Confectionery was run by Floyd Whited and his wife Nannie; Henry Roberts, a roofer; Sara’s Clothes Cleaners; and Springfield Grocery. Thomas Wiekizier, a pipe fitter with Jax Gas Co. and his wife Naomi lived in the apartment at the back. The building housed a number of stores and businesses up until the 1980’s, including exterminators, shoe repair, Greenland Cemetery sales office, bicycle and TV repair, Deluxe Cash & Carry Cleaners, printing services, a beauty shop, a barber, Hamway Sewing Machines, Inc., a roofer, Springfield’s famous George’s Confectionery and its last paying tenant, Ernie’s Used Furniture and Antiques. Vacant and derelict, the building was donated to SPAR and the Neighborhood Housing Service in 1991 to be renovated as offices for the non-profits. When that proved impossible, the building passed to the Jacksonville Brotherhood of Police Officer for a headquarters, but stayed vacant and unused. In 2009 the current owners rescued their future home and began the arduous renovation. It has since won numerous awards for renovation and design, and been featured in various publications. 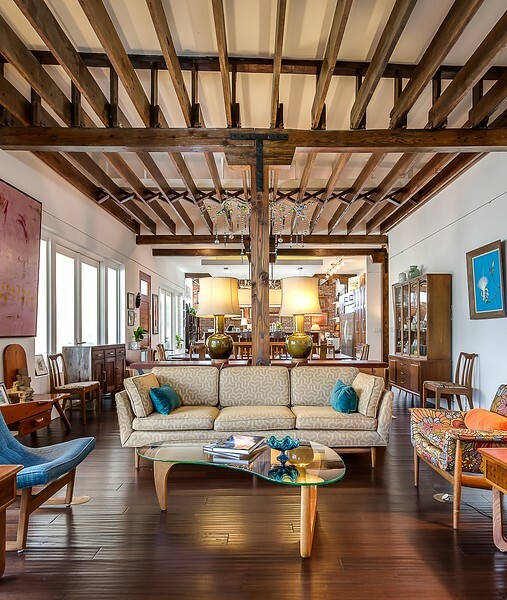 The interior loft-like, with a mix of mid-century modern, West African and Asian elements.